Cathedral Choir with Elizabeth Stratford, Organist and Master of the Choristers, the Duke and Duchess of Norfolk, Bishop Richard Moth, Diana Wills (Area Representative, FCM), Peter Allwood (Chairman, FCM) and Patrick Burgess (Chairman, The Friends of Arundel Cathedral) taken after the presentation on 21 October. 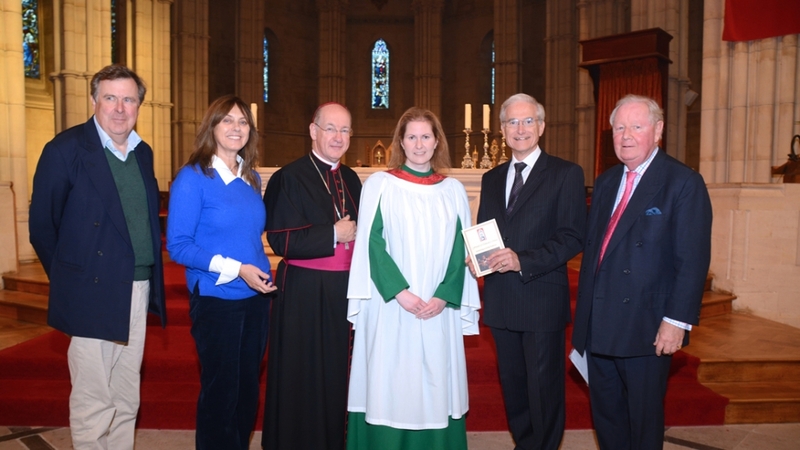 On Sunday 21 October at Mass for the Solemnity of St Philip, a cheque for £20,000 to inaugurate Arundel Cathedral Choir’s endowment fund, was presented to Elizabeth Stratford by Peter Allwood, Chairman of The Friends of Cathedral Music. This is the first step towards raising £100,000 to secure the future of choral scholars at the Cathedral. Music included Harold Darke’s Gloria, Sanctus, Benedictus and Agnus in F major, John Rutter’s The Lord bless you and keep you and O praise the Lord, an anthem written for the Cathedral Choir by Neil Cox to celebrate the 50th anniversary of the Diocese of Arundel and Brighton. 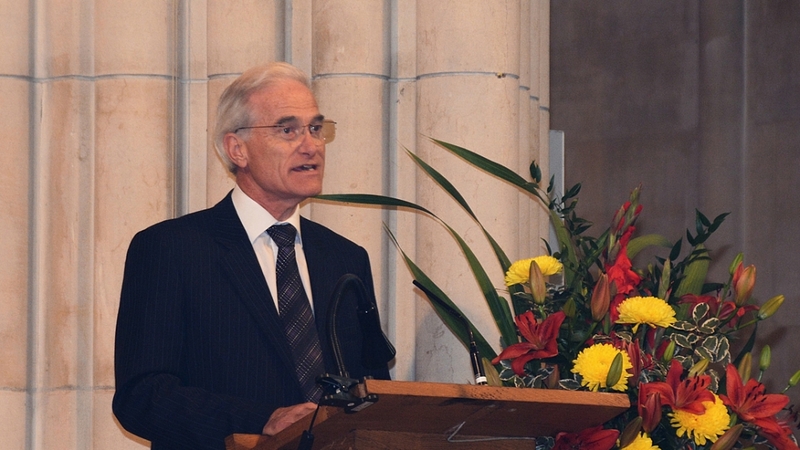 Elizabeth Stratford received the grant on behalf of the Cathedral and addressed the congregation explaining that unlike many cathedrals, Arundel does not have a choir school or considerable funding. 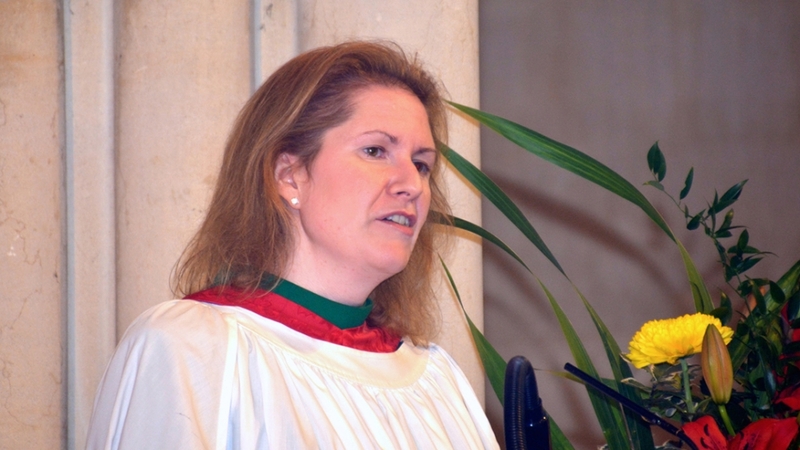 She described the opportunities which choral scholars can benefit from whilst in the choir and the link with the University of Chichester and asked the congregation to give generously towards the £100,000 target. Choral scholars are students who are appointed following competitive audition to sing the alto, tenor and bass parts in the choir. Through their membership, scholars receive specialist training in liturgical music and have unique opportunities to develop their vocal skills. In return, they sing at the Cathedral every week. 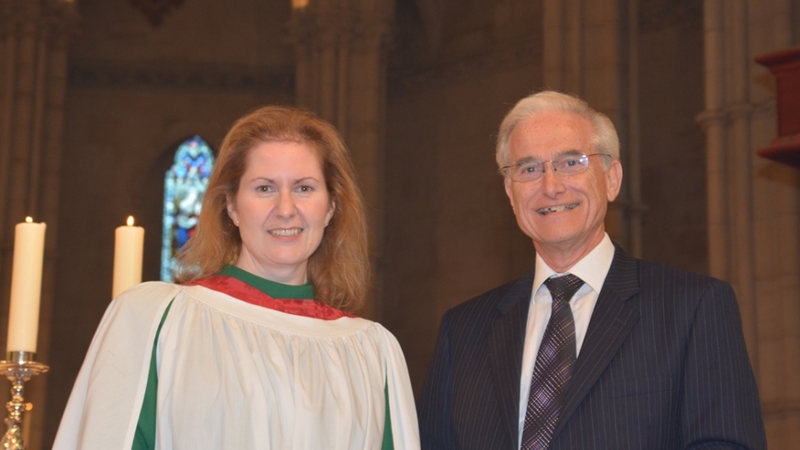 This ensures the continuation of the highest standards of music at choral services and as a result, some of our previous choral scholars have gone on to vocational and other professional music roles. Without choral scholars, the future of the choir would be in jeopardy. The choir is most grateful to their benefactors, especially The Friends of Arundel Cathedral, whose financial support in recent years has paid for a number of choral scholars to sing at the Cathedral. 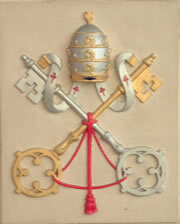 However, in order to continue this vitally important ongoing work in our Cathedral we need further help. Any donations (payable to Arundel Cathedral Music) can be sent marked for the attention of Elizabeth Stratford to Cathedral House, Parsons Hill, Arundel, West Sussex BN18 9AY. Anything you are able to give will be most gratefully received and added to our endowment. If you pay tax and are able to Gift Aid your donation, this will increase your gift by 25% with no additional cost to you. Thank you for your generosity and may God richly bless you.